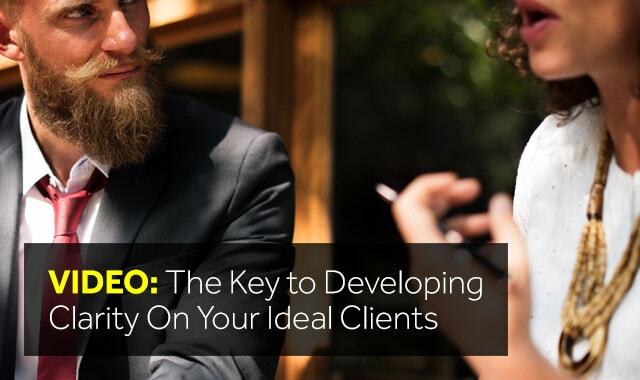 Let’s talk about ideal clients for a moment and the importance of honing in and being clear as to who your ideal client is. 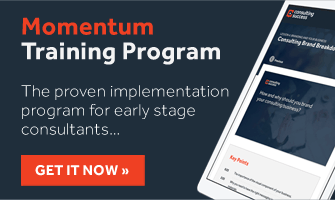 You want to set up a very clear and specific set of criteria. The most effective marketing is marketing that polarizes. You don’t want to and shouldn’t want to try and attract the majority of the market place. You want to have crystal clarity around who your ideal consulting client is. If you don’t then you run the risk of being too diverse of going too wide, of trying to be all things to all people and really end up with a message that will resonate with none of them. Instead, you want to focus on a minority that you can really help and serve. That is the ideal client. Then develop your messaging around them. That’s going to resonate with them. It’s going to speak to them because it’s going to be much more specific as opposed to being general. The other reason is if you go too wide, then you need to have different messaging. You need to have a different marketing. You need to have a different list of who you’re targeting. The reality is that it’s the exact opposite. The more that you focus on the ideal client the greater the results that you’ll see. The better that your marketing will actually be. The easier it will to manage your business and you’ll be able to keep things simple. I know that this can be a real challenge but it’s well worth it to focus in, get real clarity on your ideal client, and then develop your messaging and your marketing for a very specific type of client. You’ll see your marketing and results significantly improve when you do.